Vampires Valad and Michael control the town, and every 10 years, they pick a fertile woman from the village to be wedded to them as part of a tradition that dates back to over a century. No one knows what happens to the women once they are chosen and, quite frankly, no one wants to know. The simple fact is they are never seen again. When curvy Siona discovers that her newly engaged best friend is the next girl to have been selected, she does what no woman has ever done before. Siona volunteers herself to be chosen and to take her friends place. Now she is about to enter the unknown with no idea if she will ever return. When Siona volunteered to become the vampires' shared bride, she had absolutely no idea of what was to happen. And there is nothing in this world that could have prepared her for what actually did happen. This was my first Bonnie Burrows's book. I love vampires, and this story has potential, but unfortunately, it didn't keep my attention. Maybe it's because of the characters, the storyline, or both. Joan Dukore did a good narration. I received this free review copy audiobook at my request and I have voluntarily written this review. The Vampire's Shared Bride is a menage story, so it obviously has plenty of spicy parts. However, this story also a sweet side as the passion and love grow between the three people in the menage. The author does a good, if basic, job of world building, and she keeps the story interesting by adding in some dragons with her vampires. I really enjoyed the deep friendship between Michael and Valad, and how each brought something different and valuable to their relationship with Sonia. Her character was the perfect blend of sweet and loving with strong and determined. I admired her courage in sacrificing herself to save her best friend as she goes into an unknown future that has always haunted her nightmares. 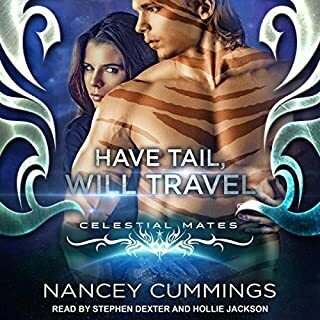 Mixing in some some drama between Michael, Valad and Sonia as well as some good action scenes with their nemeses, the dragons, The Vampire's Shared Bride is a fun and exciting audiobook. Joan Dukore's narration is wonderful. Although I wasn't sure at first if I would enjoy it because her voice is a little nasally, I am really glad that I kept listening. Dukore's delivery is smooth and flawless, she differentiates well between characters, and she employs the right emotion level for the varying scenes in the book. I would definitely listen to another of her audiobook narrations in the future. This had the potential to be a good book but it just wasn't. The storyline felt like it was all over the place and didn't focus enough on anything. The beginning started out awkward and didn't feel necessary to the story. I felt like there was a lot missing right from the start and the rest of the story led up to a big nothing. It was an interesting story idea but nothing seemed to come together. 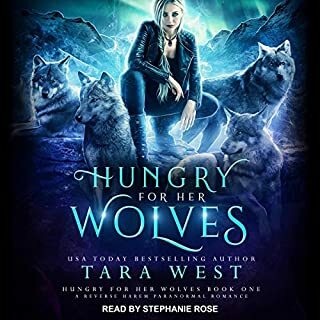 The summary led me to believe this would be about Siona and her two hot vampires in a menage and "she had absolutely no idea of what was to happen" but there wasn't really a big focus on their relationship and it was far from a romance book.The narration was also not right. Since these were supposedly two strong, aged vampires, I would have liked them to sound like strong, dangerous vampires who have been around for a hundred years. I was voluntarily provided this review copy audiobook at no charge by the author, publisher and/or narrator. The story has potential to be longer and more involved. Large stretches of time are skipped. The vampires’ reaction to a major revelation is entirely skipped. A premonition is never even eventually seen/addressed. This could have been a longer, fuller story. If it had been I would have given it more stars. It just feels like much of the story is missing. I'm certain there will be folks out there who love this book. Sadly, I wasn't one of them. Regardless, listen to it, my opinion isn't the be all end all of book reviews. 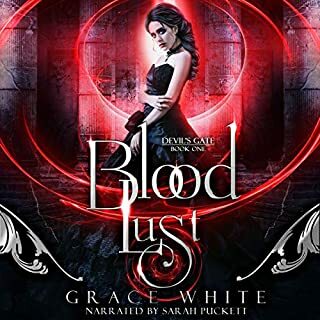 I recently listened to an audiobook(s), the had a similar theme, as a new bride for the vampire every so many years, the bride is never seen again, and the town provides the candidates, and one girl who has the baddest issue with the whole idea becomes the bride. It’s a different storyline from most and if I hadn’t listened to the previous story and really liked it I may have liked this better. I just didn’t become very drawn to any of the three main characters..I found some of the secondary characters also uninspiring. Also a little confusion as to who is connected to who in the story..and there was a line early in the story that made you wonder if there was more than friendship between the two male vampires but then was just left hanging there. 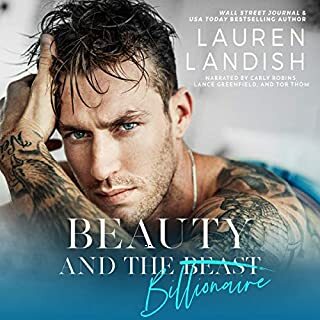 The narrator did a nice job with the material, and if you hadn’t already read/ listened to a previous book you felt dealt with a similar storyline better, you may enjoy this book more than ai did.